Protect Your Home and Family from Burglary. General security measures include: Make your home less of a target by keeping it well lit. Programmable timing devices can be used to activate interior and exterior lights. A UL-approved safe or vault that is permanently fastened can be used for storage of your more precious items. 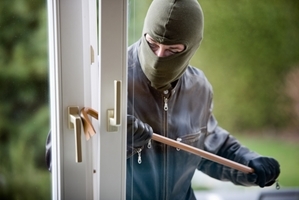 A monitored burglar alarm can add to the protection of your home. While you are away: Stop your mail and newspaper services, or arrange for a neighbor to pick them up and periodically check on things. Store your valuable items in a safety deposit box. Use programmable timing devices for lighting.